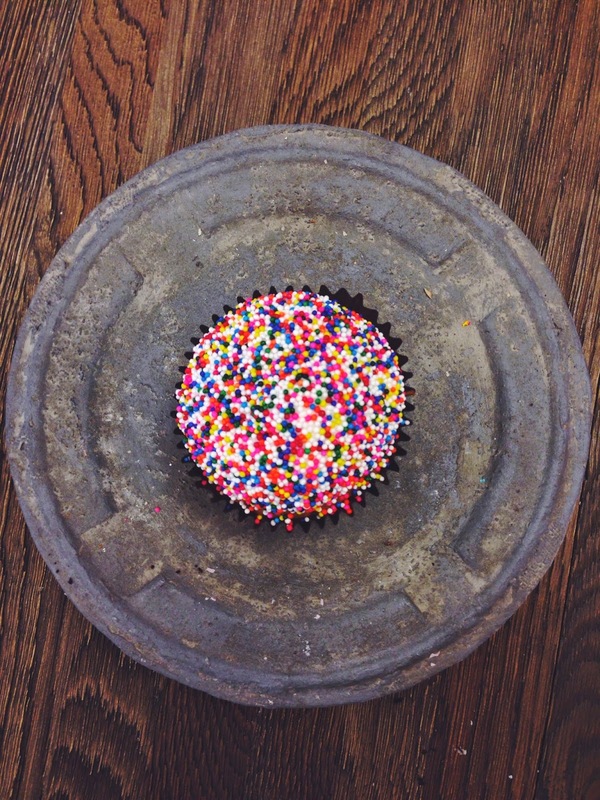 A Colorful Chaos: Friday Favorites: Cupcakes! Happy Friday ya'll! Hope you've had a good week. Ours has been so very busy. Summertime is coming to a close and we're trying to capture the fading moments of long sunshine hours before they leave us for awhile. 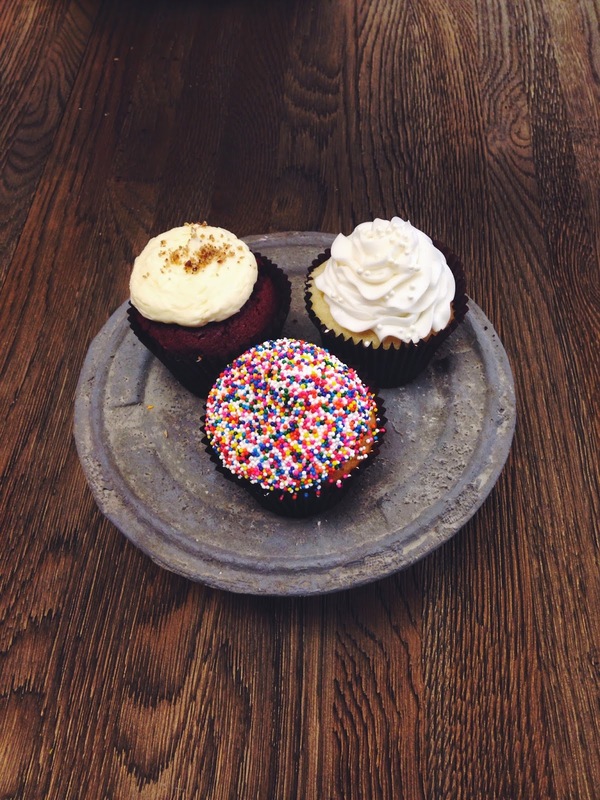 This week, we treated ourselves to a cupcake date, because who doesn't love a little sugar! We stopped by an adorable shop just around the corner, Small Cakes. 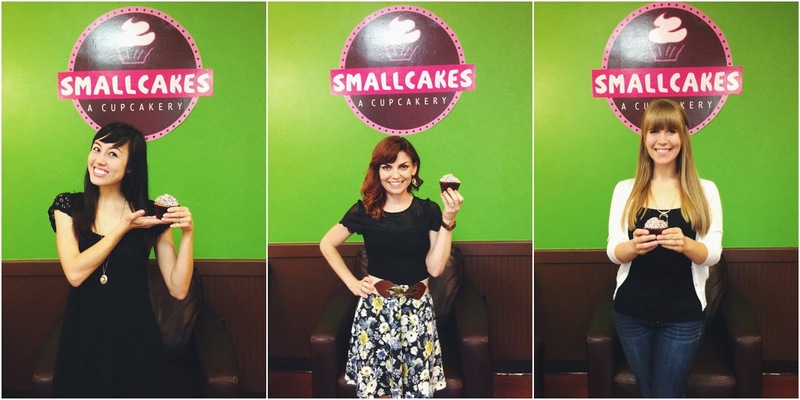 Small Cakes has been open since the spring, but this was our first opportunity to visit! 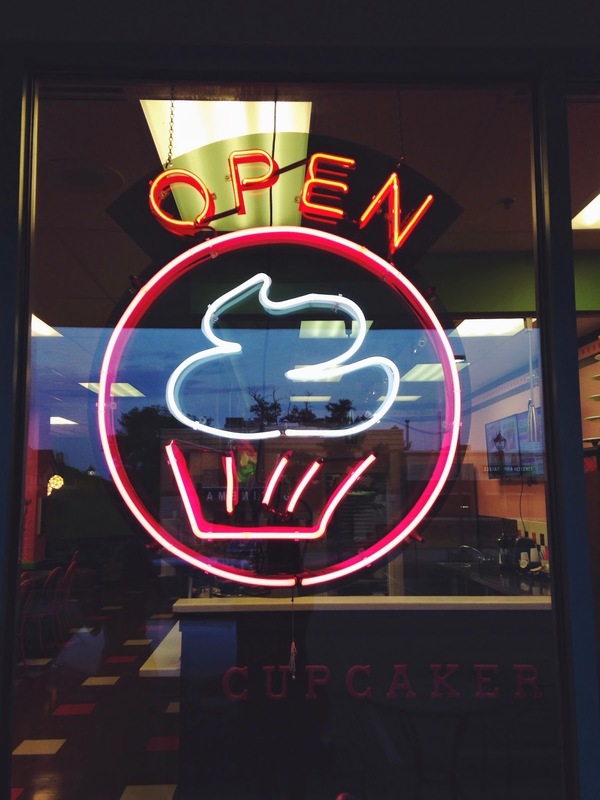 We managed to make it for Happy Hour - buy one get one cupcake free! Needless to say, our husbands were surprised by some unexpected sweet treats when we got home. 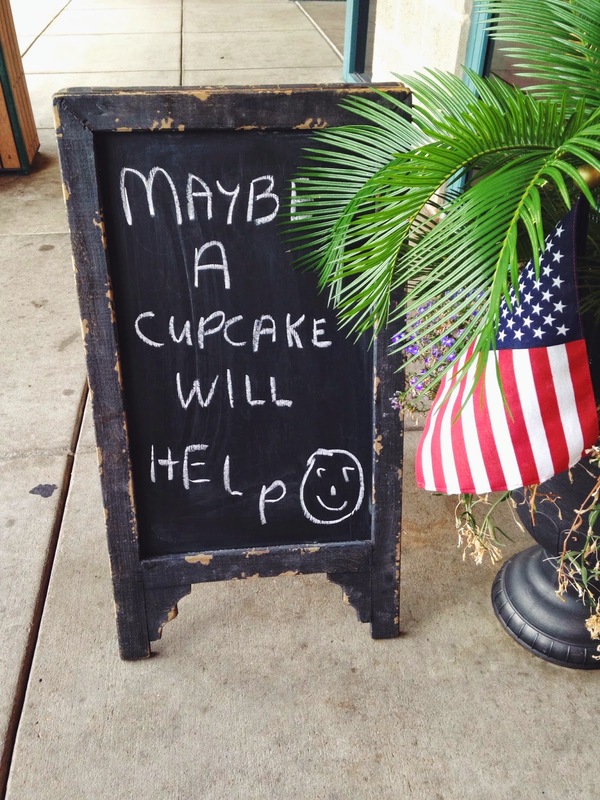 This quaint little cupcake shop serves the perfect size cupcakes for our sweet tooth. 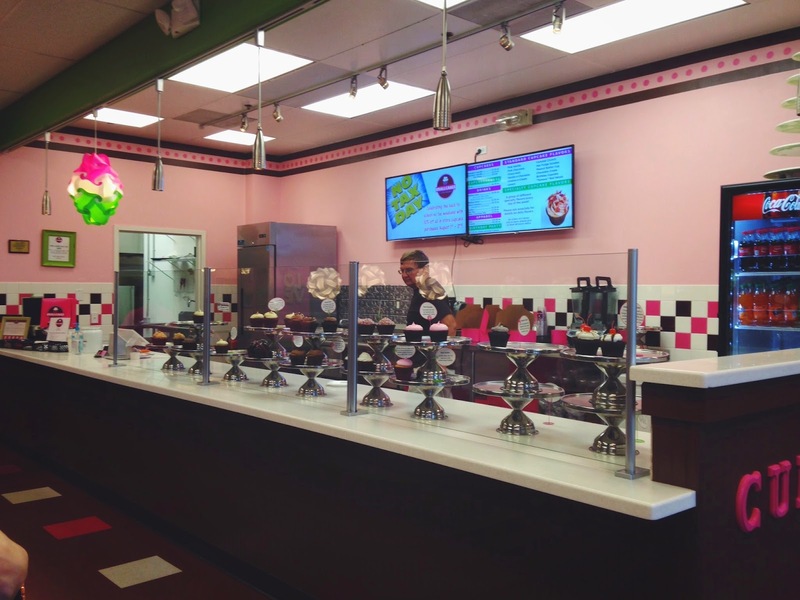 Some of our favorites include, the wedding cake, red velvet, and birthday cake! How lovely are their little cakes! We had just as much fun photographing them as we had eating them. Brooke and Paula ended up unknowingly ordering the same exact cakes: two wedding cake cupcakes (for the girls) and two double chocolate cupcakes (for our cute husbands). What can we say? The three of us spend a lot of time together....haha! Such a beautiful shop to enjoy a sweet treat! For those of you who we know are wondering, their happy hour is every Monday and Tuesday from 6:30-8:00 p.m. Stop by to grab one for you and one for your special someone!